Slowly but surely, I am coming to terms with achieving my desired brow. 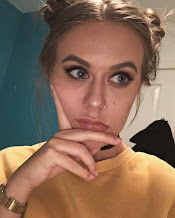 In the past, I've had brows that were non existent from the halfway point, and since the likes of Cara, the whole 'strong brow game' thing has been getting me a little jealous. Although my brows are now a nice thicker shape, I do like to recruit a few products to help me out along the way. 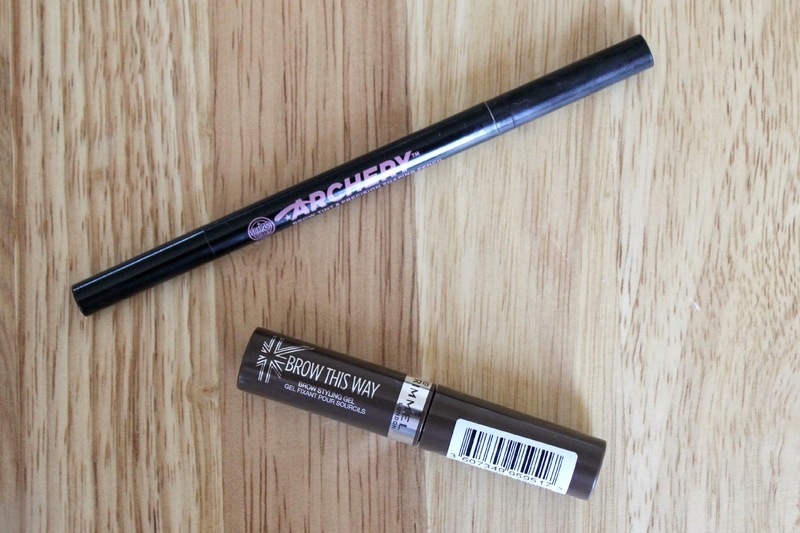 A couple of weeks ago, I picked up the Soap & Glory Archery Brow Tint and Precision Shaping Pencil in the shade Brownie Points. I have unusually coloured brows, and everything out there seems to be too dark or too light, and so although this may be a touch too dark, with the right combing and balancing, it looks pretty good. The pencil is a nice waxy consistency, and the fine pen allows you to mimic the effect of real hairs where you need extra oomph. The new kid on the block is the Rimmel Brow This Way Brow Styling Gel. Now, it does a great job at tinting and setting, but I would say the brush on this is a little to big for my liking. I was expecting something more in the style of the Benefit Gimmie Brow, so you just have to be extra careful with your application. I bought the shade Medium Brown as blond was way too fair for me, but this is quite warm toned and so when I put this on the first time I was pretty shocked. I would suggest scraping a lot of product off the brush, then going in lightly, and if you are looking for an ashy gel, you might want to find something else. I adore archery, and I do like brow this way but it is a little hard to work with!! Lovely post; who doesn't want cara's brows haha ;)?